Get ready! It's time to fine-tune that fantastic Spring wardrobe you've been putting together! And if you haven't already checked out my Top Trends of the Season rundown, then there's no way you're as prepared as you should be! Haha! However! All joking aside, there's one colour you simply must make sure you save room for in that wardrobe of yours; the first Power Colour to emerge this Season - Emerald. 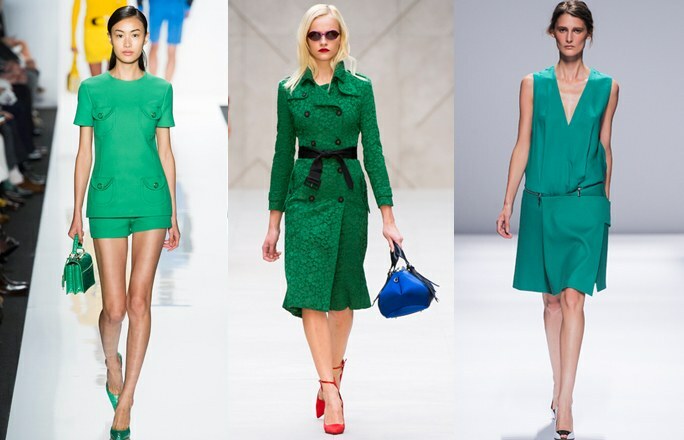 The magic of Emerald Green is making a splash in Fashion and we are anxious to see it explode for Spring/Summer! The richer, more luxurious, and more sublime cousin to basic Green; Emerald is both a fresh, invigorating tone for Spring as much as it is deep, refined, and elegant. With no question of a doubt our most anticipated new colour for the Season, Emerald is a fantastic way to embrace jewel-tones in your accessories - from your shoes, to your purse, to quite literally emerald earrings! But let's not stop there, there's so much you can do with this amazing colour. Like we've spoken about on our trend post; colour on colour is one of the best looks this Season to play with; and it's perfect for Emerald. Green on Green finally has a purpose that goes beyond St. Patties! So sport it! That fantastic Emerald Maxi you've been hiding in your closet with a bold Emerald Summer hat? Or maybe that great Emerald carry-all you've been eyeing in Yorkville with a Seasonally on-point pair of Emerald skinnies! 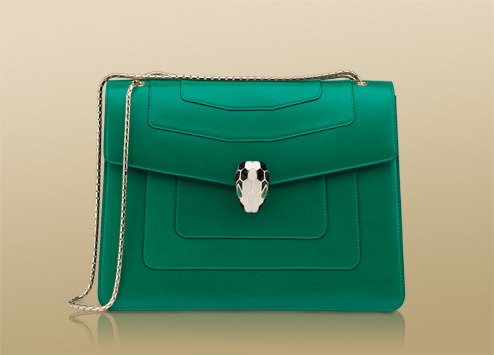 It's the naked Green truth ladies, so where do you keep your Emerald?! And I don't want to make it sound like Emerald is this single, secular tone, because it isn't! Colour on colour goes way further than that. 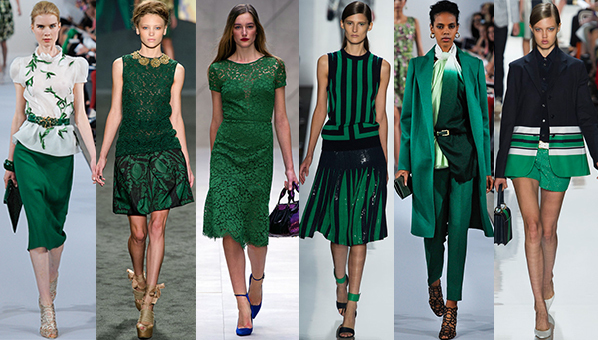 Playing with that tone while incorporating other Green hues is probably the best way to enjoy Emerald this Season. 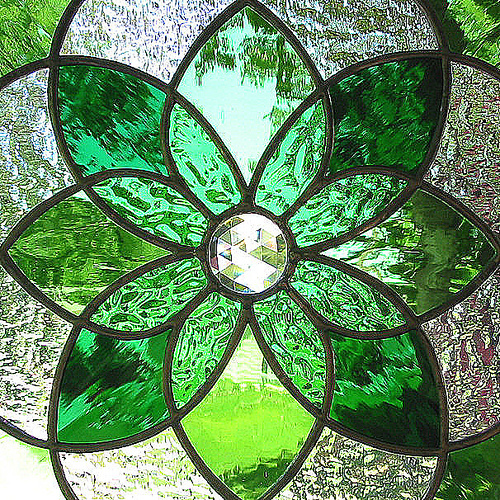 Pair it with Grassy Greens, Blueish Greens, Forest Greens, and even Yellow Greens to bring out that jeweled Emerald. Emerald also works best as the star hue of your outfit; bouncing off fantastic Spring neutrals like Off-White, Beige, Camel, Soft Greys, and of course Seasonal Black; as well as complimentary essentials like Maroon or Deep Violet! 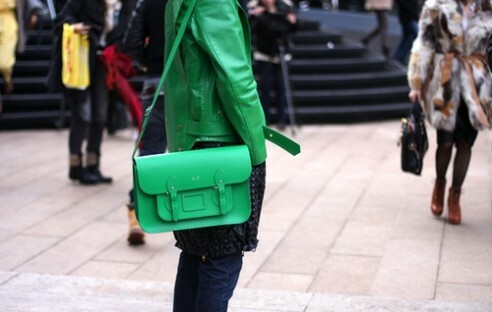 Emerald can be just as versatile as you are! So experiment in different ways you can add it to your wardrobe. There's no need to be as bold or brash as many of the photos I've featured - using Emerald as the star performer. The jewel tone is a vibrant and rich hue, it can take your outfit to an iconic level just by it's subtle appearance in a pair of amazing earrings, a great shoe, or even a fantastic Spring nail colour. Buy, post and share your #Emerald story this Spring, I'd love to see it!